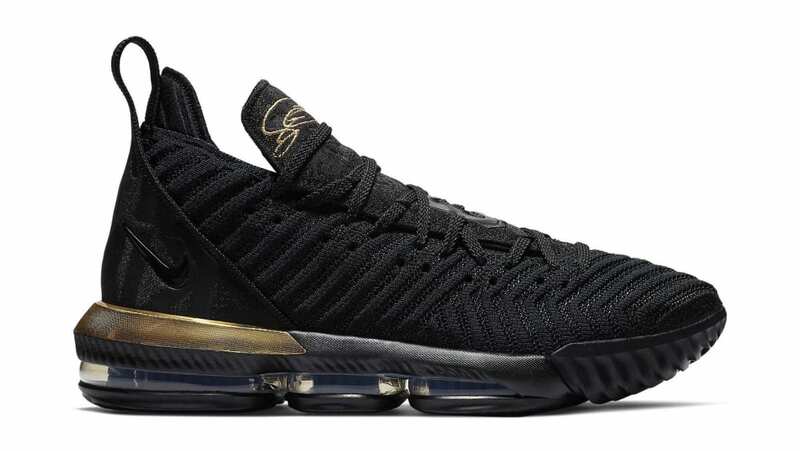 Nike Nike LeBron 16 "I'm King"
A nod to LeBron James' "King James" moniker, the Nike LeBron 16 is dressed in a black and metallic gold makeup with "I'm King" debossed on the heel cup. Release date is Dec. 15, 2018 at a retail price of $185. News Nike LeBron 16 "I'm King"